This is Your Brain on Phones. 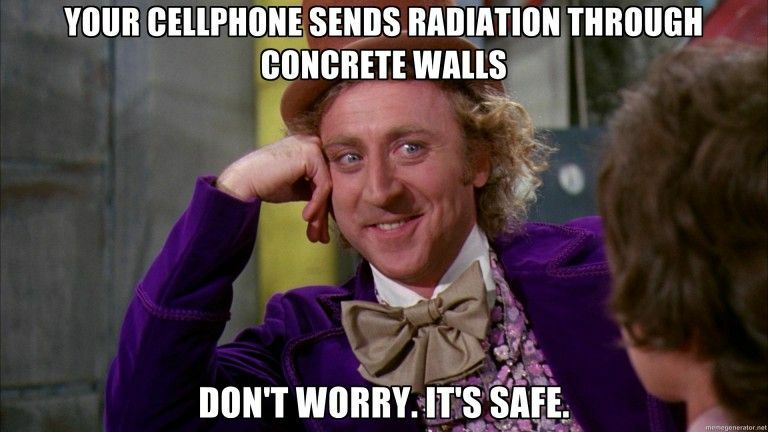 Cell Phone Radiation and Your Health. My ongoing series on wireless technology and cell phone radiation prompts many questions from my readers. Most commonly: What can we do? Can we avoid this? Can we stop it? If only it were that easy… But there are things we can do. First, I think a general awareness of the risks of high-frequency (microwave) radiation is important to strive for. This technology has basically been implemented and accepted without thinking much about the consequences. Interestingly, though, not many people (adults, at least) are surprised to hear that there might be health effects caused by cell-phones and wireless technology. There is a subtle discomfort lurking in the back of almost everyone’s mind: Is this thing really safe for me? I love the convenience, but I’m just not sure.. The use of remote headsets and speakerphone is an admission of this uncertainty. A growing concern amongst researchers is the effect of this unnatural radiation exposure on the development of our children. In a recent article by Dr. Mercola on this topic, he references a study by Yale University (not exactly some community college no one has ever heard of, in case we were wondering if the 70% of studies showing harm weren’t reputable…) scientist Dr. Taylor. Her study exposed pregnant mice to cellphone radiation over the course of their 17 day gestation. As I mentioned previously, some of the major changes the human body experiences when exposed to high-frequency radiation are altered brainwave patterns and cellular degradation. This study begins to show some consequences of these changes. The Building Biology recommendations are that you don’t allow Smartphone use within 30ft of a child. I wish it were possible, but try policing that rule at a family function when parents, grandparents, cousins are surrounding your baby to take iPhone photos. Not easy. When I do a home inspection, I test, among other things, levels of radio frequencies. People are generally amazed by the strength and persistence of levels coming from inside their home. Even people who had considered living in a place further from cell towers. The signals add up: cell-phones, DECT phones, wi-fi, tablets, Apple TV, ‘Smart’ meters and so on. Way beyond recommended exposure levels. Want to keep your kids brains safe from cell phone radiation? Start with your stuff at home. Next we can worry about what our neighbors are blasting us with. And in case you missed my last article on ‘Smart’ meters, click here to check it out.